Week Six and the Occupy Movement in Hong Kong is still blocking streets in three key areas of Hong Kong (Admiralty, Causeway Bay and Mongkok). Talks with government have stopped. Protester numbers vary dramatically. On weekday mornings the camps have a skeleton crew. On weekend evenings there are masses of people from all walks of life. During the Occupy Wall Street movement after the financial crisis, protesters occupied the clearway under the HSBC building in Central, Hong Kong. They camped and protested. Their encampment was in place for eleven months. It ended on 11 September 2012 with the forced removal of all protesters and their encampment. Waiting didn’t succeed then. Will it work now? 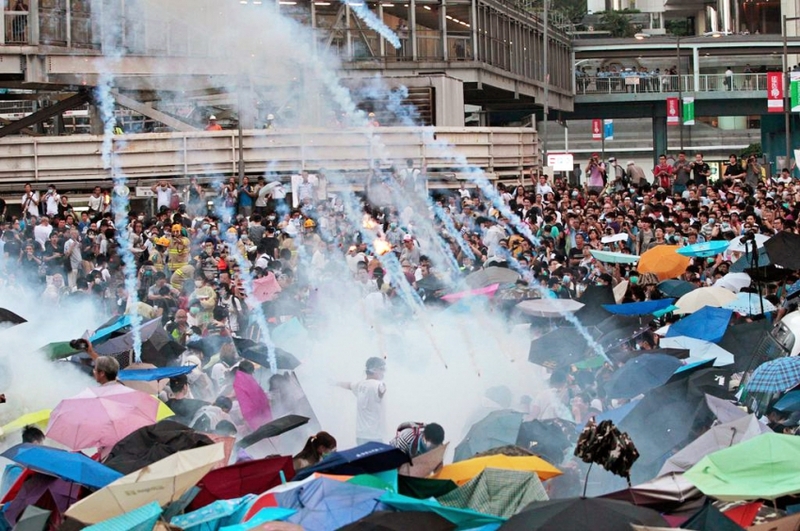 Today’s Occupy Movement is proving to be an embarrassment for the Hong Kong Government. Yet the impact on business and tourism is harder to gauge. Proponents point to the record number of Mainland visitors in October this year. Opponents point to the dramatic plunge in credit card transactions in the same period. Taxi drivers have threatened to remove the barricades. Hoteliers say bookings are normal. It’s hard to say who is right and who is wrong when statistics support both arguments. This weekend China hosts the annual APEC Summit in Beijing. A purpose-built convention centre and hotel complex outside the capital city are the site for the meeting of world leaders. Factories and energy stations in the valley surrounding Beijing have been shuttered to lower air pollution levels. This is the second most-important event in Beijing after the 2008 Olympics. Xi Jinping welcomes the leaders of the APEC countries and hopes this meeting is heralded as a success. It is the weeks after APEC that I believe we’ll see movement on the government’s side. Vladimir Putin waited to invade Crimea until after the closing ceremonies of the Olympics in Sochi, Russia. With APEC out of the way China won’t have a public event impeding its ability to act. Waiting has been a strategy to date. Yet before the Christmas decorations are put up across Hong Kong, it is my view that Occupy Hong Kong will be cleared – one way or another. ← Here’s to the Publishers!